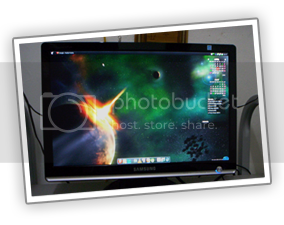 Samsung SyncMaster 931BW – Is this my blog? Well..kinda don’t have anything good to share, so here’s another useless post; about my new monitor. Ermm…not so new really…it had been about 3 or 4 weeks I guess. My previous Philips 107E5 CRT had failed me after years of dedicated services. I do notice however, maybe it had a chance to be revived by sending it to the repair guy, but I skip that and gave it to my ex-housemate instead. Not that I feel I’m too rich or whatsoever; it’s just suffice to say that I didn’t think the monitor will last long enough after repair…the problem will keep on coming (you know…the “repair-broke again” cycles). 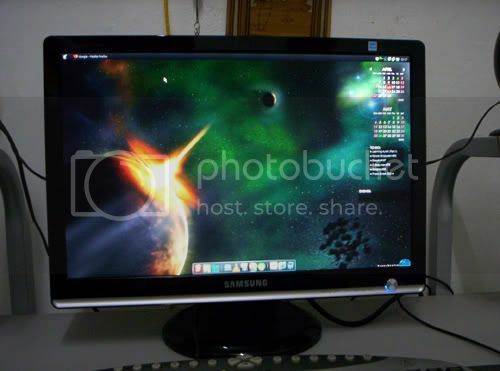 After some thoughts and selling some of my internal organs (I don’t have a job yet~~~), I’ve decided to splash my little (and hard earned) cash on Samsung SyncMaster 931BW 19″ LCD monitor. The 931BW had a native resolution of 1440*900 (16:10), so it’s wider than the typical 5:4 or 4:3 ratio been normally seen on CRT monitor. Other specs, it sports a contrast ratio of 2000:1 with Dynamic Contrast, 2ms response time and a luminance of 300 cd/m2 or nits (do check the official site for the accurate specs; I’m a sucker on info accuracy). Design wise, it didn’t have a stand that allows height adjustment (it doesn’t even rotate), so it brings problem to people that like to adjust it. It’s okay for me, because of my shorter physical height, I don’t have any problem at that department. On the back of the unit, it has a detachable power cord and both jacks for DVI and RGB inputs. Visuals were good…no ghosting was apparent on fast pace scene video and the color seems accurate to my eyes (without using any benchmark or tools to support my statement…it’s just me). Owh…and the minimum dead pixel that can made you eligible to claim the warranty of sort is 7 and my unit didn’t come with any (alhamdullillah~~~). Next story Welcome to my world!